You too can obtain Yui’s Heart tear droplet necklace, just like that worn by Asuna in memory of Yui. With four style options of chain to choose from, this accessory is perfect to complete a cosplay or for everyday wear as a fan! Now Pokemon fans can bring their favorite game to the beach and pool parties without worrying about water damage! This nostalgic towel depicts the memorable title screen from the classic Game Boy games Pokemon Gold and Silver. Drink the greedy souls No Face has ingested! This stainless steel water bottle is insulated and has a vacuum sealed lid, keeping your preferred beverage hot or cold for hours. Just don’t accept any gold if he offers! Make a huge splash at home by surfing on your very own Wailmer! 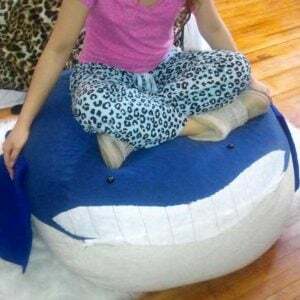 Encased with an abundant amount of soft, comfortable blubber, this Wailmer bean bag is the perfect Pokemon to utilize as a relaxing spot to rest. Just hope he doesn’t decide to evolve! This shadow box shelf has been accurately hand painted to replicate the question mark block from the Super Mario Bros games. It’s perfect for storing your amiibo collection, valuables and performance enhancing mushrooms. Protect your village in the cutest way possible with these hilarious Naruto inspired cat headbands! The ninja wear accessories include a flashy band color of your choice and cat-shaped metal plate with an emojicon expression! Ahhh! Where’s Link when you need him? No home or garden of any true Zelda fan would be complete without a horrible spider monster lurking in the shadows. Comes available as DIY kits or fully painted replicas on custom display bases. The puzzles are a new type of Rubik’s Cube in the shape of iconic Japanese manga and anime characters. Each feature seven rotating parts that can be moved into various arrangements and have you entertained for hours! If you’re renowned for being anything like Umaru-Chan, you’ll be wanting to snuggle with this full body pillow! This cat dakimakura is the ideal cuddle buddy after a lazy day of gaming, binge watching anime, and eating junk food. Bask in No Face’s cuteness but just don’t take anything he offers! As he burns, this No Face candle will release a pleasant aroma of your choosing. 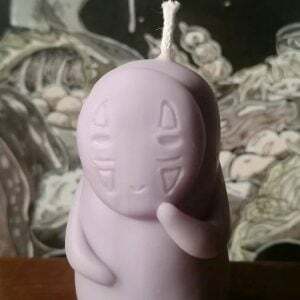 It makes the perfect little gift for any candle-loving Studio Ghibli fan! Ah, the endless cycle. Eat, sleep, play the Nintendo Switch and repeat it all again! Avoid people asking you what you’re currently doing with your life with this hilarious t-shirt that explains it all for them. Because what more is there to life? 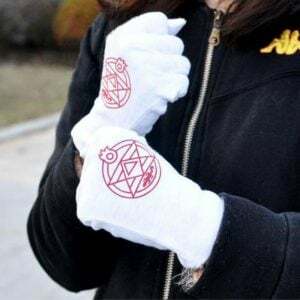 Channel your inner Alchemist with Roy Mustang’s transmutation gloves. 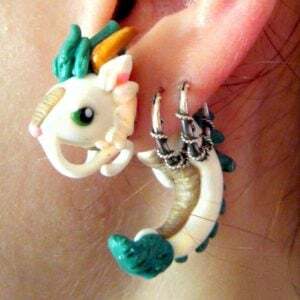 With the snap of the fingers, these cotton beauties will have you setting a blaze to all the evil-doers in your street just like a real State Alchemist. These Spirit Orbs are a symbol of courage given to only those who have overcome the challenges of taking out their credit card. The laser engraved replicas also have an option to order an LED base to make it look even more spectacular! Fans of Bleach will instantly recognize this grumpy little fellow! 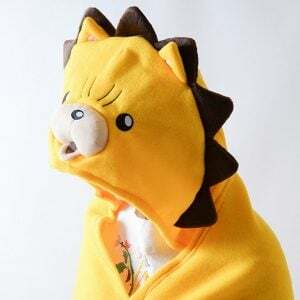 This adorable hoodie blanket features Kon’s face on the hood, complete with his spiky brown mane and a rectangular yellow blanket. Wrap yourself up and keep warm when you watch anime!